“Hyungi Kim Brahms Violin Sonata Recital”: Herald Philharmonic Orchestra violinist Hyungi Kim will tackle the works of Brahms in her upcoming solo recital. A graduate of Seoul National University’s College of Music and a member of the Korean Chamber Orchestra, Kim is slated to perform sonatas for violin and piano “No. 1 in G Major, “Regen”, Op. 78,” “Thun”, Op. 100” and “No. 3 in d minor, Op. 108.” The concert will be held at the Seoul Arts Center’s Recital Hall on Dec. 3. Ticket prices are 20,000 and 30,000 won. For more information, visit www.sac.or.kr. “Macbeth Opera”: The Sejong Center is gearing up to host its latest opera production, Verdi’s operatic rendition of the Shakespeare classic “Macbeth.” Verdi’s musical rendition of the Shakespearean tragedy is often hailed as the best of the composer’s earliest works, expressing the cruelties and ambitions of humans through a powerful score. The production will star baritones Yang June-mo and Kim Tae-hyun as Macbeth; sopranos Oh Mi-seon and Jung Joo-hei as Lady Macbeth. Sung in its original Italian libretto, the upcoming four-act “Macbeth” opera will also feature subtitles in both Korean and English. The show will be staged at the Sejong Center’s Grand Theater in Seoul from Nov. 24 to 27, with ticket prices ranging from 20,000 won to 120,000 won. For more information, visit www.sejongpac.or.kr. “The Little Singers of Paris”: Internationally renowned all-male youth choir, The Little Singers of Paris, is returning to Korea with a nationwide tour. Just in time to celebrate the Christmas holiday season, the members of the young choir will be performing across the nation throughout December with concerts in Busan, Yongin, Ulsan, Gimpo and Seoul. The Little Singers of Paris will also hold two performances in Seoul on Dec. 17 and 18 at the Seoul Arts Center’s Concert Hall. Ticket prices range from 33,000 won to 110,000 won. For more information, call 02-597-9870. “Chung Kyung-wha: Bach”: Chung Kyung-wha needs no introduction as one of Korea’s most recognized and highly regarded musicians. She first began playing the violin at the age of 6 and was immediately recognized as a child prodigy. She made her concert debut at the tender age of 9 with the Seoul Philharmonic Orchestra, performing the Mendelssohn Violin Concerto. At 13, Chung enrolled at The Juilliard School in New York City and began studying with masters Ivan Galamian and Joseph Szigeti. Chung’s upcoming concert recital will be entirely dedicated to the works of Bach. The performance will be held at Seoul Arts Center’s Concert Hall on Nov. 19 at 2 p.m. Ticket prices range from 40,000 won to 150,000 won. For more information, call 1577-5266. “The Bodyguard”: Based on the eponymous Blockbuster-hit film starring Kevin Costner and the late Whitney Houston, The Bodyguard musical is gearing up to hit Asia stage for the first time. 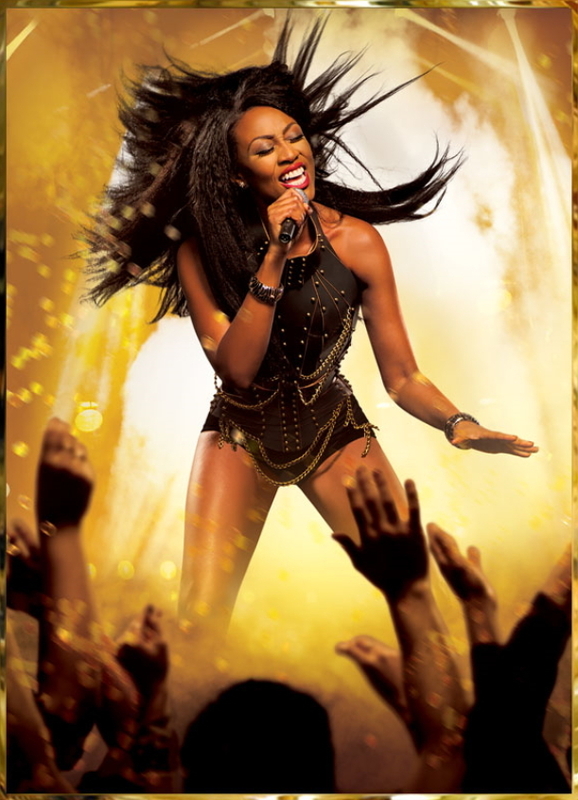 The 2012 stage musical written by Alexander Dinelaris features songs recorded by Whitney Houston including “One Moment in Time,” “I Wanna Dance with Somebody” and inarguably the diva’s greatest hit single, her cover of Dolly Parton‘s “I Will Always Love You.” The Korean rendition musical will star Jeong Sun-ah, Sohn Seung-yeon and Park Sung-woong. “The Bodyguard” will be staged at the LG Arts Center in Seoul from Dec. 15 to March 5 with ticket prices ranging from 60,000 won to 140,000 won. For more information, (02) 2005-0114. “Aida”: The legendary musical reaching 574 performances in Korea and grossing more than 35 billion won thus far and seen by 49 Million theatergoers, the theater brain child of Elton John and Tim Rice is returning to the Seoul stage. The Grammy Award and five-time Tony Award winning musical is based on eponymous opera by Giuseppe Verdi and stand as one of Broadway’s most successful productions. This year’s musical will star leads Yoon Gong-ju, Jang Eun-ah, Kim Woo-hyung and Min Woo-hyuk. “Aida” will be staged at Charlotte Theater until Mar. 11. Ticket prices range from 60,000 won to 140,000 won. For more information, call (02) 1644-0078. “Phantom”: Not to be confused with Andrew Lloyd Webber’s Broadway smash hit production “The Phantom of the Opera,” “Phantom” is a musical with music and lyrics by Maury Yeston and based on the novel by Arthur Kopit. The musical’s storyline is often billed as the “hidden and untold” story of the infamous opera ghost. The Korean rendition of the musical will star Park Eun-tae, Park Hyo-shin and Jeon Dong-suk. “Phantom” will be staged at the Blue Square theater in Seoul from Nov. 26 to Feb. 26. Ticket prices range from 60,000 won to 140,000 won. For more information, call 1577-6478. “Monte Cristo”: Edmund Dantes, a promising young sailor, is awaiting his wedding with the beautiful Mercedes until he is suddenly falsely accused and arrested for conspiracy by the dastardly Mondeo, who is secretly in love with the fair Mercedes. The musical rendition of the famed literary tale of “Monte Cristo” will be held at the Chungmu Art Hall’s Grand Theater in Seoul from Nov. 19 to Feb. 12. It will star Ryu Jeong-han, Um Ki-jun, Kai, Shin Sung-rok. Ticket prices range from 50,000 won to 140,000 won. For more information, call 1577-6478. “Mr. Show”: By renowned musical director Kolleen Park, the naughty male striptease show “Mr. Show” is returning to the stage this year. The women-only variety show features strapping young men who dance and perform various themed acts that are geared toward tantalizing females. The live show -- only for those 19 and above -- will be staged until Dec. 4 at the Shinhan Card Fan Square’s Live Hall in Seoul. Tickets are 52,000 won and 80,000 won. For more details, call (02) 547-5694. “Reflections”: Korean installation artist Kim Seung-young is holding a solo exhibition at the Savina Museum of Contemporary Art in Anguk-dong, Seoul, until Dec. 16. With a special focus on understanding the human psyche, the modern art exhibition aims to express both personal and societal shortcomings and pain through his 3-D pieces. For more information, visit www.savinamuseum.com. 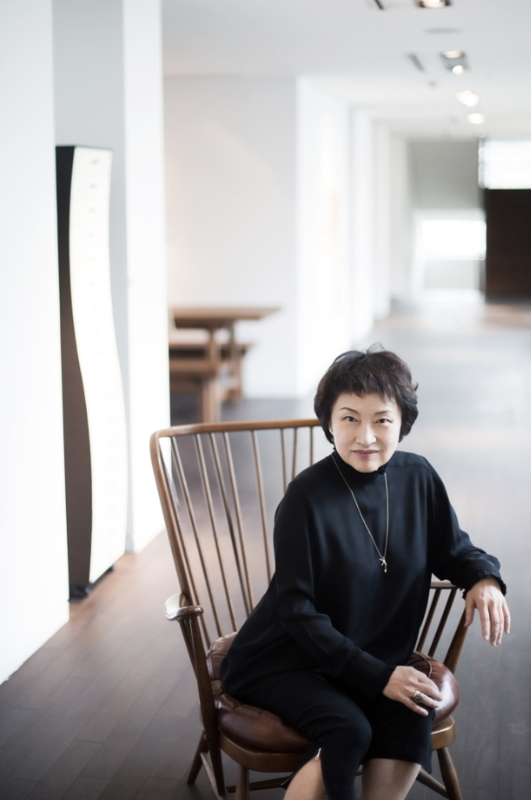 “Archive of Mind”: The National Museum of Modern and Contemporary Art, Korea is hosting artist Kim Soo-ja’s solo show as part of its annual exhibition program sponsored by Hyundai Motor Company. The exhibition showcases latest works by Kim, including site-specific installations, videos, sculptures and photos that explore the body and the mind. The exhibition runs until Feb. 5, 2017 at Gallery 5 and the museum’s courtyard. For more information, visit www.mmca.go.kr. “The Parliament of Possibilities”: Danish-Icelandic installation artist Olafur Eliasson is holding a solo exhibition at Leeum, Samsung Museum of Art in Seoul. An experimental artist who works with a wide range of elements and concepts, Eliasson will be presenting a total of 22 works, including “Moss Wall,” made with moss from Iceland, and “Your Unpredictable Path,” a glass sculpture made from more than 1,000 spheres. The exhibition runs until Feb. 26, 2017. Tickets are 8,000 won for adults, and 4,000 won for children. For more information, visit www.leeum.samsungfoundation.org. 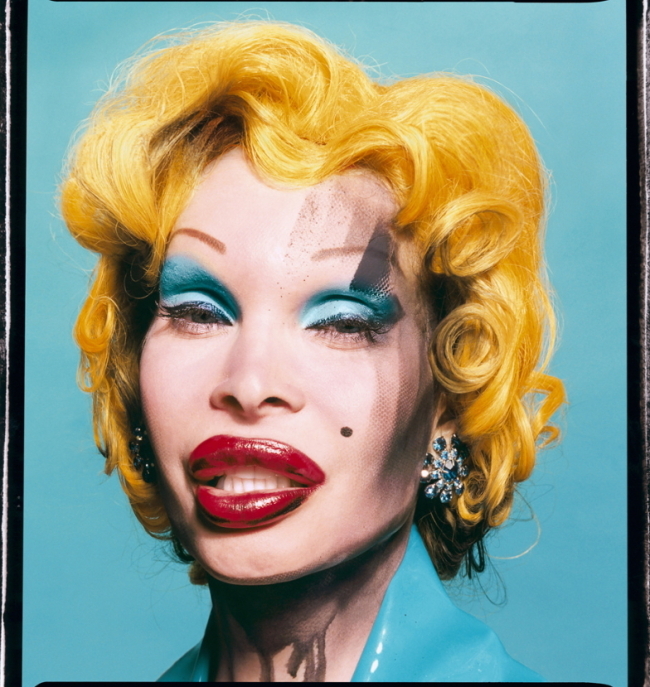 “David LaChapelle: Inscape of Beauty”: American photographer David LaChapelle is holding a solo exhibition at the Ara Modern Museum in Insa-dong, Seoul. Throughout his career, he has captured iconic images of global pop idols, including Leonardo DiCaprio, Angelina Jolie, Kanye West, and countless others. The 53-year-old photographer is also best known for his surrealist pieces that present human nature in fantasy-like environments. The exhibition will run until Feb. 26. Tickets are 12,000 won for adults, and range from 8,000 won to 10,000 won for students. For more information, visit www.aramuseum.org. “Yoo Young-kuk”: The National Museum of Modern and Contemporary Art, Deoksugung, is celebrating the 100th anniversary of the birth of the late Korean artist Yoo Young-kuk. Born in 1916, Yoo paved the way for modern art in Korea. The exhibition runs until March 1, 2017. It features some of Yoo’s iconic pieces defined by his abstract interpretations of nature. Tickets cost 3,000 won. For more information, visit www.mmca.go.kr. “Alphonse Mucha, The Pioneer of Modern Graphic Design”: The Seoul Arts Center will present the late Czech artist Alphonse Mucha’s collection from Dec. 3 to March 5, 2017. Recognized as one of the leading Art Nouveau painters of his lifetime, Mucha’s works have inspired artists across the globe throughout the past century. The exhibition will feature some of his most iconic paintings, photographs, design goods and more. Tickets range from 5,000 won to 15,000 won. For more information, visit www.sac.or.kr. “Nick Knight:Image”: British photographer Nick Knight is holding his first Seoul exhibition at Daelim Museum. Best known for his collaborations with leading design icons, including Alexander McQueen, Christian Dior, Yves Saint Laurent and more, Knight will be showcasing some of his never-before-seen photographs and digital images from over the years. The exhibition runs from now until March 26, 2017. Tickets are 5,000 won for adults, and range from 2,000 won to 3,000 won for children. For more information, visit www.daelimmuseum.org. “Seoul International Choreography Festival”: The 25th Seoul International Choreography Festival will take place at the Arko Arts Theater in Dongsung-dong, Seoul, from Dec. 1-8. Launched in 1992, the annual event was founded to introduce Korean modern dance to the world. This year’s festival will bring together performance artists from across the globe, including Korea, Finland, Japan and the US. Tickets are 20,000 won and can be reserved at ticket.interpark.com. For inquiries, call (02) 2263-4680. “The Little Prince”: Now celebrating its fifth year, the Korea National Contemporary Dance Company will be performing the French classic “The Little Prince” at the Gimhae Arts and Sports Center in Gimhae on Dec. 3 at 5 p.m. An adaptation of Antoine de Saint-Exupery’s novella, the performance will showcase the group’s unique take on the widely-known story about the world seen through the eyes of a boy from a faraway star. Tickets range from 20,000 won to 30,000 won, and are available at ticket.interpark.com. For inquiries, call (055) 320-1234. “A Dream of Angels”: The Little Angels Performing Arts Company will be performing “A Dream of Angels” at the Universal Arts Center in Seoul from Dec. 10-11 at 4 p.m. Founded in 1962, the Little Angels aims to preserve Korean culture and introduce it to the world. The group will showcase a wide range of traditional Korean dances, including talchum (mask dance), buchaechum (a fan dance), janggochum (drum dance) and others. Tickets range from 10,000 won to 70,000 won, and are available at ticket.interpark.com. For inquiries, call 070 7124-1762. 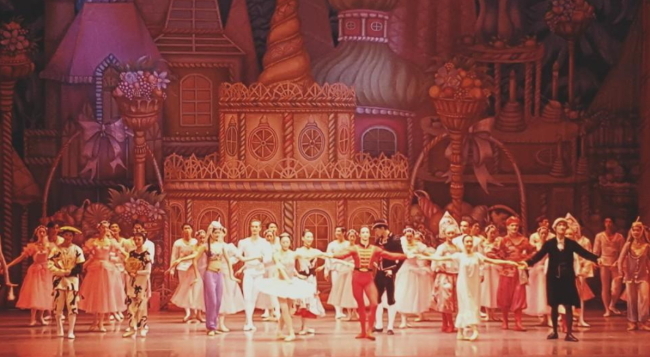 “The Nutcracker”: Universal Ballet will be performing the holiday classic “The Nutcracker” at the Universal Arts Center in Seoul from Dec. 16-31. Originally choreographed by Petipa and Ivanov, the two-act ballet boasts score by the legendary composer Tchaikovsky. Tickets range from 10,000 won to 100,000 won, and are available at ticket.interpark.com. For inquiries, call 154-1555. 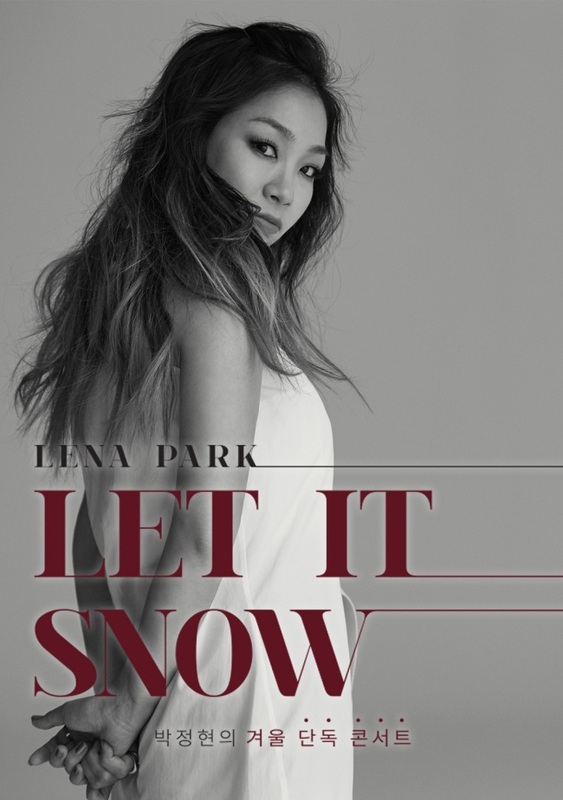 “Let It Snow -- Park Jung-hyun”: Korean pop-R&B diva Park Jung-hyun is holding a year-end concert from Dec. 23-25 at Seoul’s Olympic Park. Originally planned to take place on Christmas day and eve, the concert was extended one more day following explosive ticket reservations, according to promoter Fortune Entertainment. Park will also perform in Gwangju on Nov. 26-27, in Daegu on Dec. 17-18, and in Busan on Dec. 30-31. The petite songstress is known for her powerful, soulful vocals and impeccable live performances. Ticket prices range from 88,000 won to 143,000 won. For reservations, visit ticket.interpark.com. “Metallica WorldWired Tour 2017”: World-renowned American heavy metal band Metallica is visiting Korea to perform on Jan. 11 at the Gocheok Sky Dome at 8 p.m. Formed in Los Angeles in 1981, the band has since achieved massive fame, their aggressive performances placing them as one of the founding “big four” bands of thrash metal. The band has won eight Grammy Awards throughout the course of its nine studio albums. Concert ticket prices range from 99,000 won to 165,000 won. Tickets can be reserved exclusively at ticket.interpark.com. “Ailee - Welcome Home”: Korean-American pop diva Ailee is holding a year-end concert on Dec. 24-25 at 6 p.m. at Kyung Hee University. Since her 2012 debut, the 27-year-old songstress has been known for her powerful vocals and energetic stage performances. The genres of her songs range from dance-friendly K-pop to ballad, rhythm and blues and electropop. Hits include “U&I,” “Singing Got Better,” “Mind Your Own Business” and “Goodbye My Love.” Ailee was invited as a VIP guest to perform at a pre-Grammy party for the 55th Grammy Awards in 2013 in Los Angeles. Ticket prices for the upcoming concert range from 88,000 won to 121,000 won and can be reserved at ticket.interpark.com. “Tycho”: Up-and-coming electronic band Tycho will be performing at Seoul’s Hyundai Card Understage concert hall on Jan. 14, 2017 at 7 p.m. An American ambient music project led by Scott Hansen as primary composer, Tycho’s music has been described as a combination of downtempo vintage-style synthesizers and moody melodies. Tycho incorporates many organic and human elements into his tunes, including simple talking or even breathing. Active since 2002, the group’s most recent album is “Epoch,” released this year. Tickets are available at 66,000 won.